To those of you who celebrate the day...Happy Halloween! To those of you who don't...Happy Friday! Hope that you all have a wonderful weekend! Well, here we are at the end of October already. my mom always said that the older I got, the faster the days would go by. I must say that mom was right! It's been a LONG time since I took part in a card swap. With the Christmas holidays quickly approaching, I thought it would be fun to organize a holiday swap. Please email me if you are interested in swapping! here are the 'rules' so far! 1. Have fun creating winter/Christmas/snowman type cards. Once I have an idea of interest, I will let you know how many to make. Usually, I keep groups at 10 or less. 2. 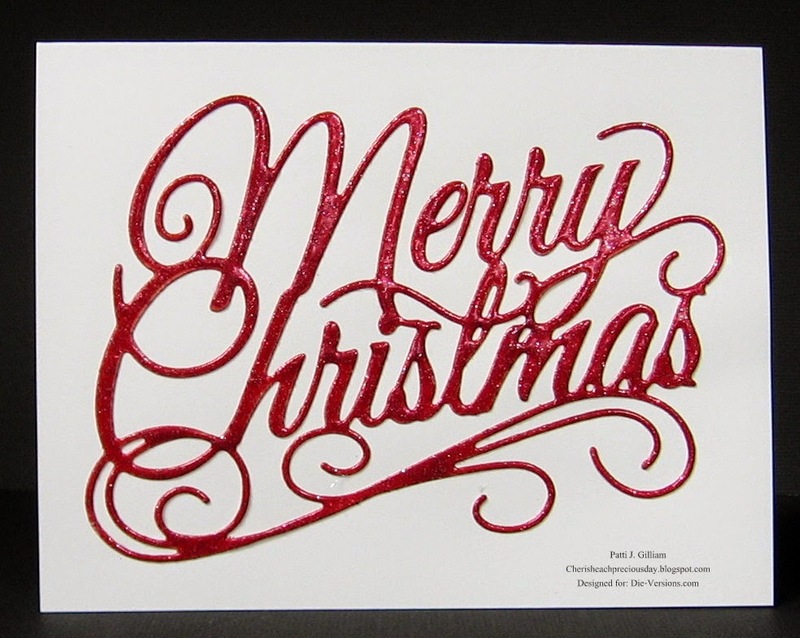 Cards will need to reach me no later than November 24th to ensure delivery to everyone in time for holiday use. 3. Each card will need to include an envelope. 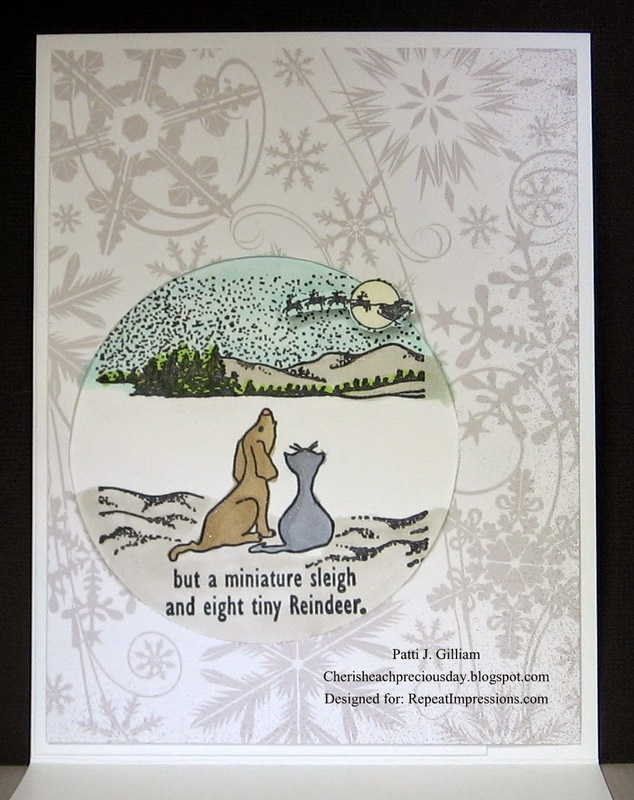 Wendy, the owner of Repeat Impressions Stamps, designs the best sketches! Here's the card front. My moon disappoints me. I had to stamp it again, as it was only half showing under the circle cut out. When I adhered it, it looked too pale, so I added some glossy accents. OOPS! Shouldn't have done that - now it looks like a brad or button! Oh well, next time I will know better! I used Repeat Impressions "8308-U Wondering Eyes"
Here is the inside of the card, Santa and all! See how nice and 'moonish' this moon looks? Lol... I used Repeat Impressions "8308-U Wondering Eyes"
Aren't these images just too cute? I'm going to work on a flip card with them next, I think. These little critters just make me smile! Hope you'll check out my fellow Rock Stars, to see their interpretation of Wendy's awesome sketch! Hope to see you enter your creation in our challenge at The House That Stamps Built! While you're out and about, have a bit of fun shopping at Repeat Impressions! Thanks for stopping by - Happy Wednesday! Today, a new challenge is up at the Repeat Impressions Blog, The House that Stamps Built. us to use our leftovers! because I have days just like this! Hits home, dear friends, really it does! their leftovers for...I can't wait to see them! for a chance to win some Repeat Impressions yumminess! 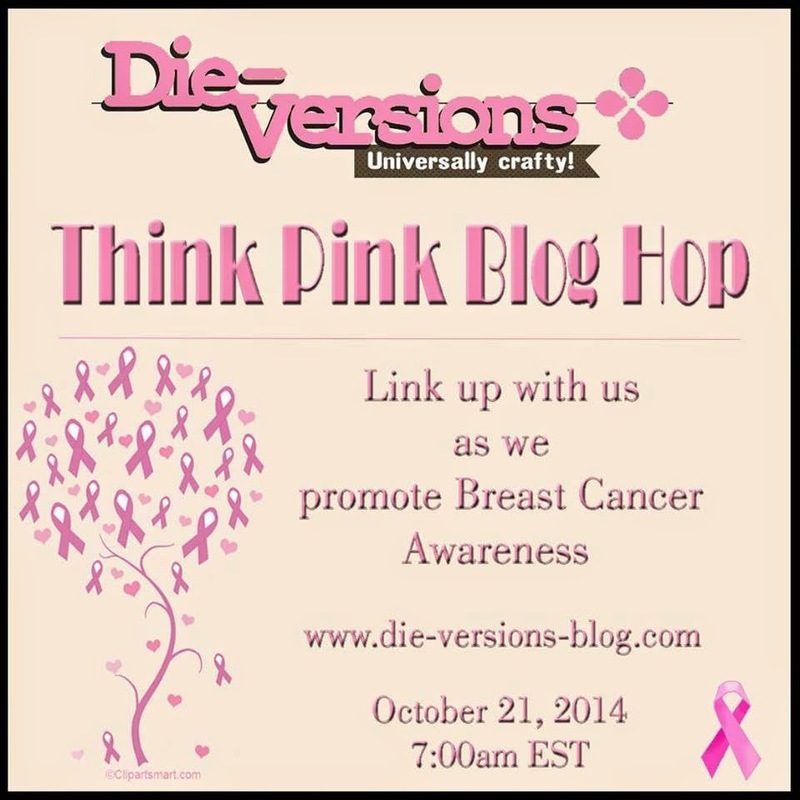 Welcome to the Think Pink Blog Hop!! October is Breast Cancer Awareness Month, so the Die-Versions Design Team wanted to bring Breast Cancer Awareness to our crafty friends. We want to get the message out to all women about the importance of early detection with regular self-breast exams and mammograms. Many of the designers today will be using images generously provided byDoodle Pantry. Doodle Pantry provides a diverse selection of images. There is something for everyone, so be sure to stop by to see all they have to offer. 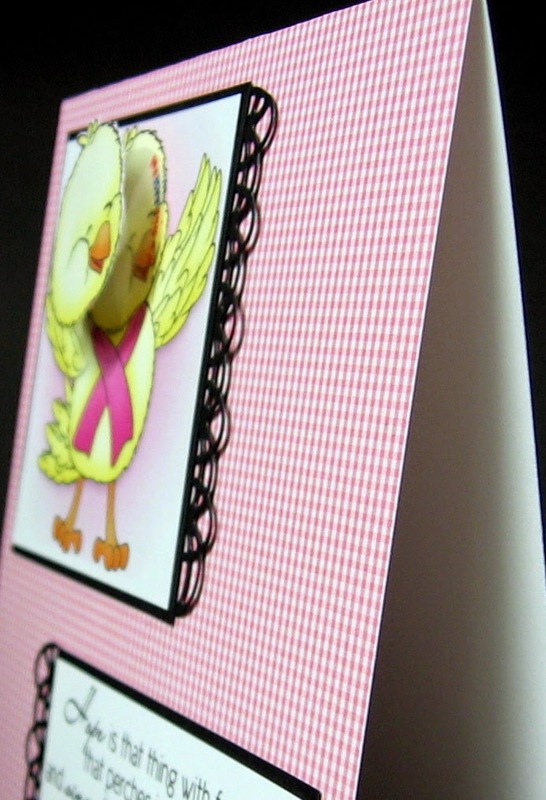 We have also joined with Fighting Pretty to donate cards to be delivered to breast cancer patients. If you would like to donate your cards we would love to pass them along to brighten the days of needed recipients. Please email Lori at mulchlady(at)aol(dot)com for the address to send your cards. Here is what I made, using the Die-Versions "Crochet Lace" Whispers DVW-322 die, and a sweet PRE-COLORED (!!!) digital set 'I Will Survive', from Doodle Pantry - you can find it HERE. If you look closely at the second photo, you will see that I actually printed the image twice, and cut the little birdie head out. It was than mounted on a 'wobbly' spring, so when touched, it wobbles! Your next stop on the Think Pink Blog Hop is Mary. So let’s get hopping, celebrate courage and strength, and most importantly spread some Pink Hope. Patti - you are here! Link up as many new projects (no back-linking) that fit the theme of Breast Cancer Awareness (Think Pink, Survivor, Be Brave…) in the linky on the Die-Versions blog. You have until Tuesday, October 28. The winner will be announced on the Die-Versions blog on Wednesday, October 29. Good luck, everyone, and Think Pink! showcase a couple of my favorite dies. I'm amazed each time I create with these dies, at the easy removal of these delicate die cuts! 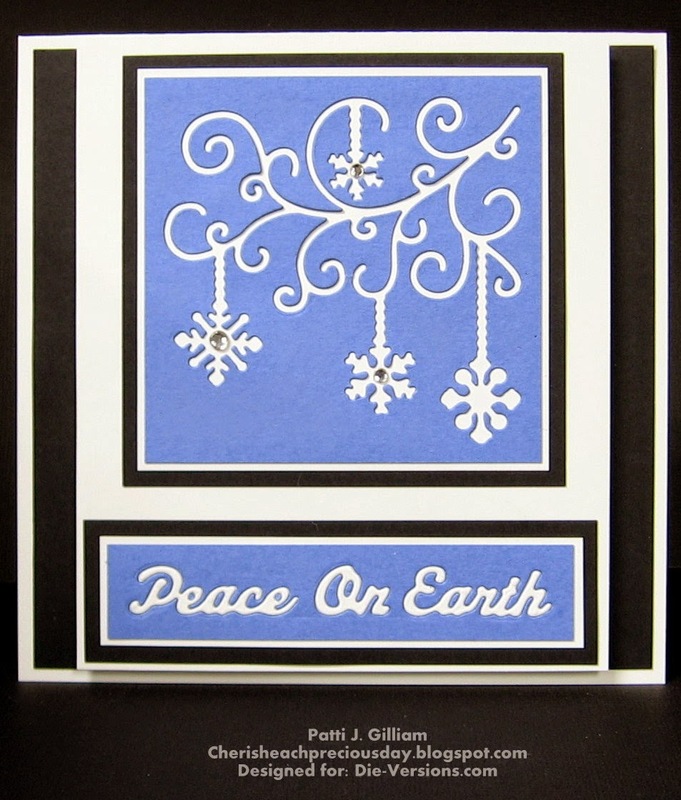 For this card, I used Die-Versions "Snowflake Corner" DVW-399, and Die-Versions "Peace on Earth" Sweet Wordlets DVSW-043. Oops! Looking at my photo, I just realized that I lost a bling on the right snowflake...better fix that before I mail this one! 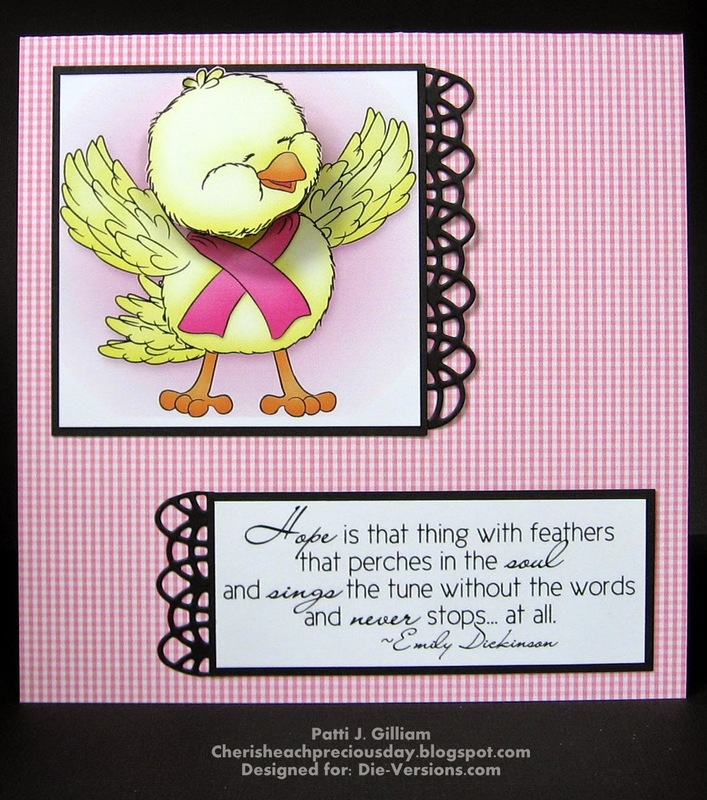 Be sure to follow the Die-Versions blog, for daily inspiration with these wonderful dies! Had a nice service at Church and a great Sunday School group today! Hope your day was good, as well. I found a few minutes this afternoon to play, and thought I'd enter a couple of challenges. The first card was made for one of the Treasure Times Stamps Facebook Group Challenges. This particular challenge is for a guest designer spot. You really should go HERE and join the FB group - they have lots of creative fun, and we all love that, right? They also have a great website! Jody, the owner, actually gave her group some digital images to enter the challenges with. 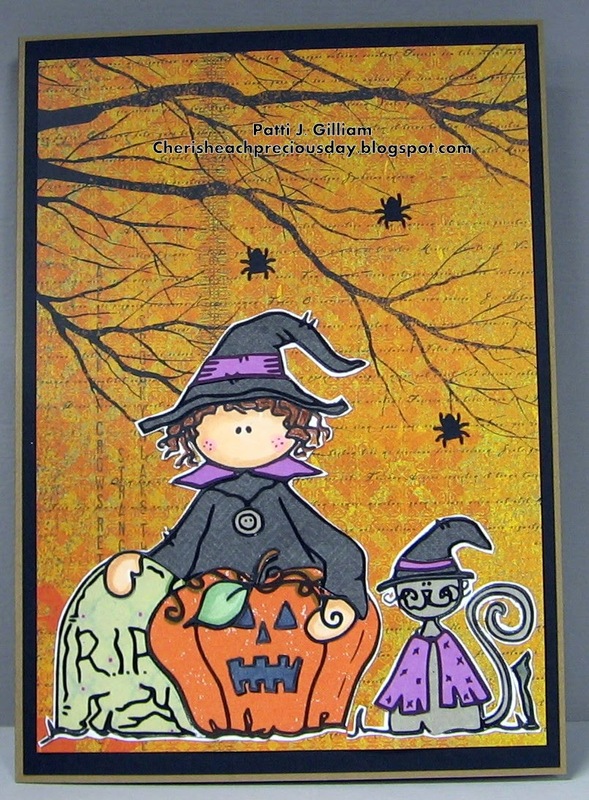 I chose this darling Halloween image. Ugh...I tried three different times to color, and had one issue after the other, SO... I decided to color only the skin, and paper piece everything else. VOILA! Wish me luck!!! I used my Perfect Layers Mini Rulers and mat for the wonderful black layer. See my sidebar for details! 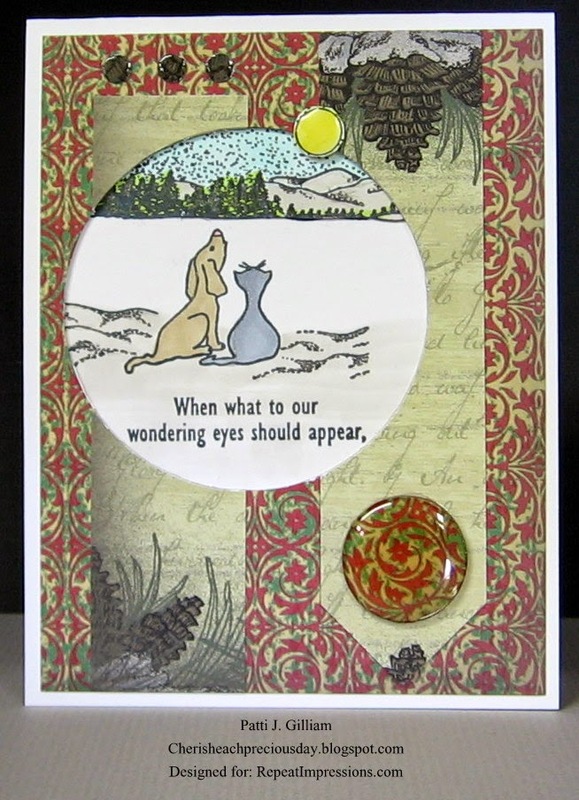 The next card was created for the October Challenge at the Great Impressions Stamps Blog. This was a pretty tough challenge for me, as I have ZERO fall or autumn related Great Impressions Stamps, and the challenge theme is: Autumnal Elegance. I ended up using some pretty patterned paper, a die, and this wonderful little sentiment, 'Just Me. Thinking of You. #9742 SKU #D405'. This is an all-time favorite GI stamp - I reach for it often. It can be made 'cutesy' or 'elegant'. There's still time to enter each challenge, so get your craft on and go for it!!! What's new up on our hill? So....what exactly IS new on Patti J's hillside? I'd been gone a while yesterday, running a multitude of errands, including Wal-Mart. and I'm so excited that Wally World will have a bit of small town competition! Oh dear....I have not ridden a bike since 1980! at age 60 to get up after a fall than it was at 26, and owies hurt a lot more! My DH is a keeper - for real! He is always surprising me with sweet presents! Z3 convertible for our 30th wedding anniversary. 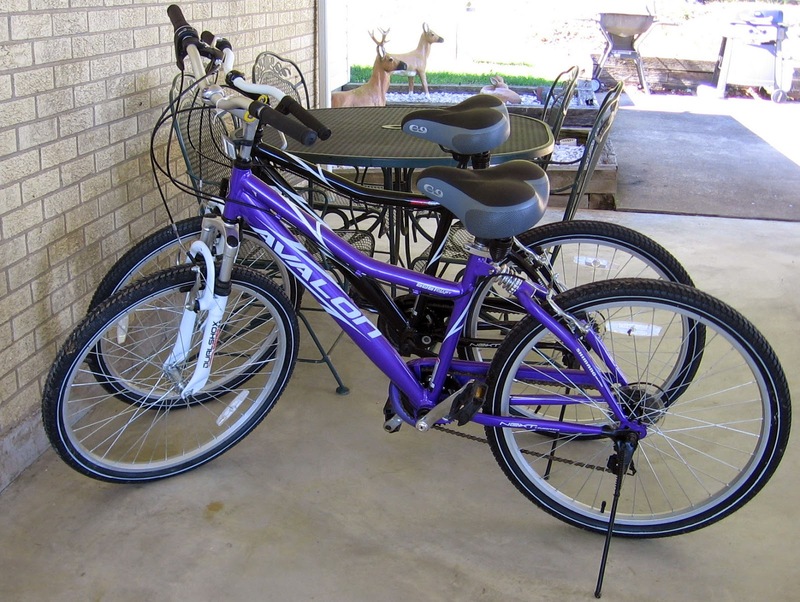 When we get a free weekend, and actually get ON these bikes, I'll be sure to let you know how it goes (or doesn't!!!). Have a great weekend - thanks for stopping by! Can't believe this week is nearly over! Wowzers...where has it gone? Today is Sketch Challenge Day at the Repeat Impressions blog, 'The House That Stamps Built'. Here is Wendy's delightful sketch. You all know that I'm a rebel, so it's no surprise to you that I turned the sketch, right? 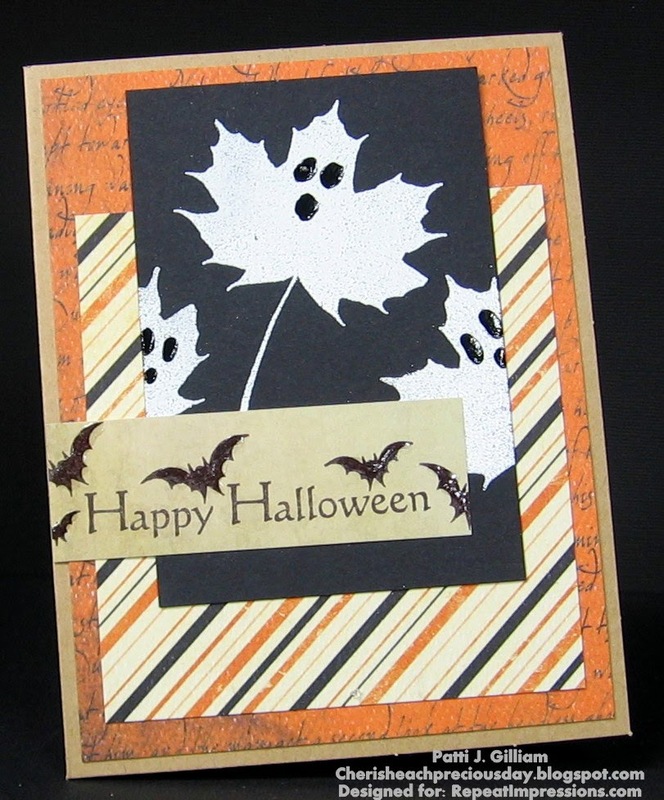 It probably doesn't surprise you that I took the Repeat Impressions beautiful Maple Leaf stamp, and turned it into a trio of spooky little ghosts, either!!! Repeat Impressions 'Maple Leaf Silhouette' #5127-K, Repeat Impressions 'Happy Halloween' #1139-F, Repeat Impressions 'Bats' #2308-B, DP from my stash, Black Ink, Kraft Cardstock, Black Enamel Accents (Ranger). Hope you like this little card - it was fun to create, and I always love working with Wendy's wonderful sketches! Today is the day - please check below to see if you are a winner! This was so much fun - thank you all! Thanks so much to all of you for hanging in here with me for SIX years! from those of you who left a comment here on my blog each and every day! Blogaversary Celebration - Day Six! 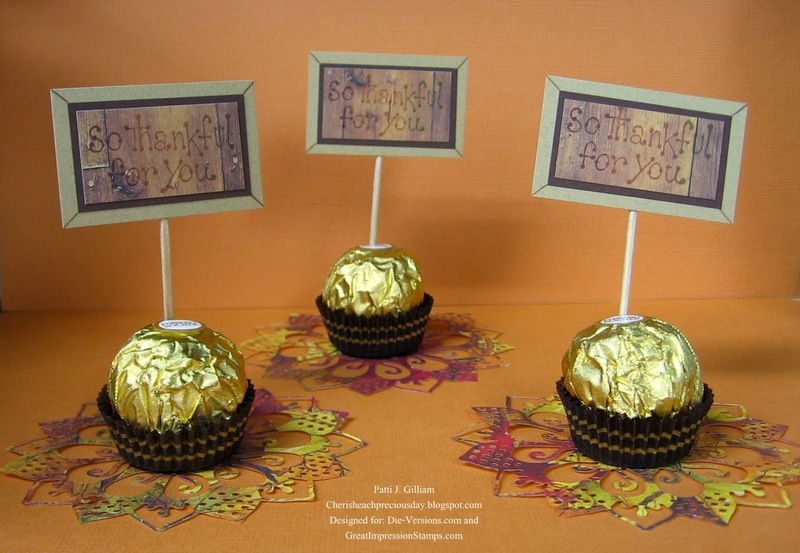 Today is the last day of Cherish Each Precious Day's Blogaversary Celebration! It's not too late to comment on Days 1-5...just scroll down! We have an awesome sponsor today! STUNNING die, for one of you to win! Here is the beautiful die that Dani has provided. One of YOU will win this - talk about easily mass produced cards! While I do not own this die, I do own the Merry Christmas die. I hope that you've enjoyed my Blogaversary as much as I have! Remember that you need only scroll down to comment on Days 1 through 5! Winners will be posted here on Monday, October 13th, probably late morning. I'll be away from my computer over the weekend, so if you leave a comment here, and it doesn't show up, be patient! It will show up Sunday evening, I promise! Hugs and GOOD LUCK to you all! Blogaversary Celebration - Day Five! Oh my goodness - today is Day FIVE! One more to go! Thanks for stopping by today - you're going to love the prize!!! It's not too late to enter for Day One, Two, Three, or Four - just scroll down! Lots of nice prizes - you could be a winner! I've had the pleasure of working with the Great Impressions team members for three months of Guest DT work over the last couple of years. Each time I 'guested', was an amazing time. The DT is always so friendly, and Deone, the owner is amazing, and so genuine and generous! beautifully, and the images are perfect for everyday projects. 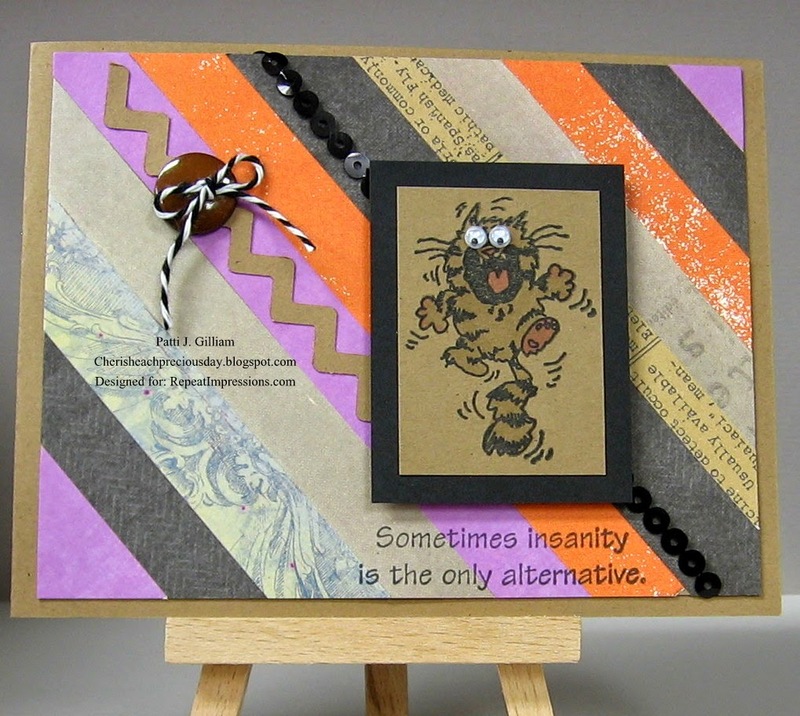 Here are some of my favorite Great Impressions projects! These three cards use one of the new release stamps 'Someone Like You'. 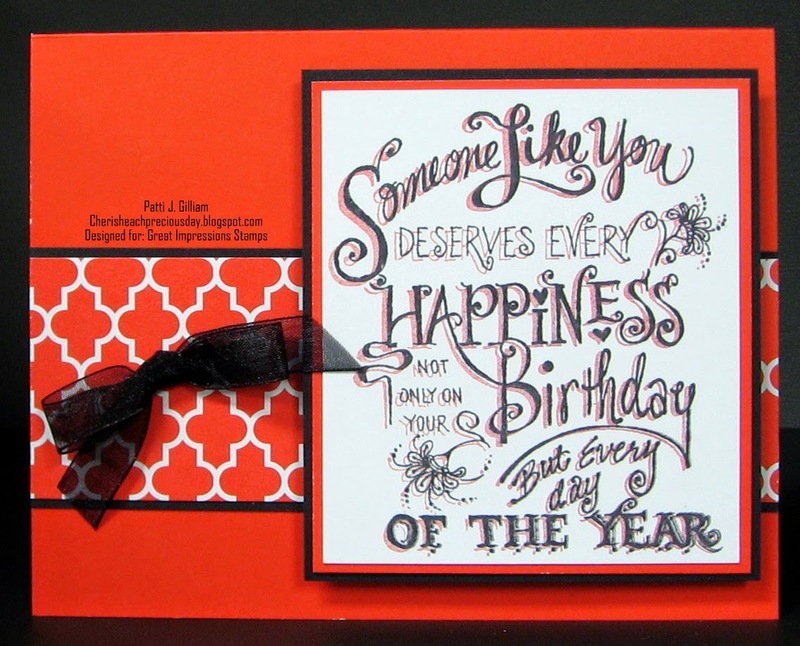 You can see just how versatile this stamp is! 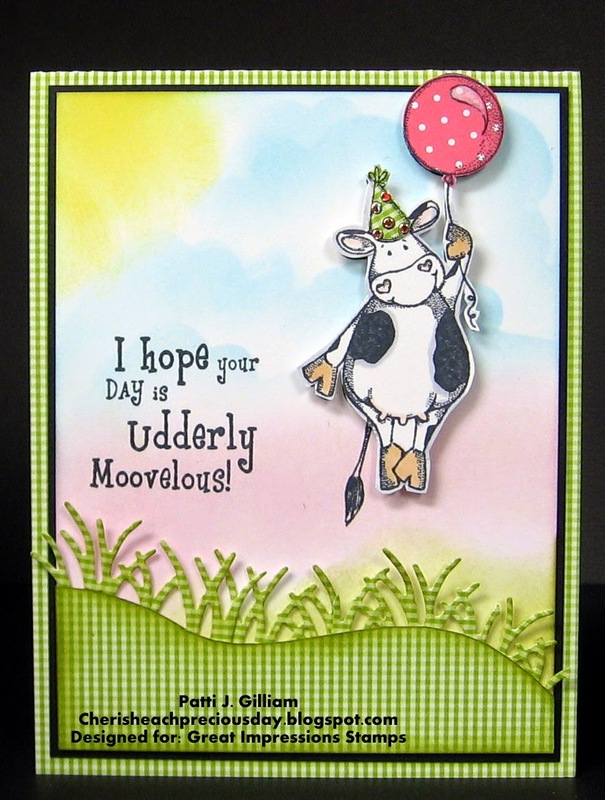 This fun little card uses Great Impressions 'Udderly', and 'Party Cow'. What a fun creation this was. It actually was made for our new daughter in law's birthday! 1. Leave a comment here = 1 chance! Blogaversary Celebration - Day Four! I'm back today with another Blogaversary Giveaway! Remind all of your friends to drop by and leave a comment! those are just an opportunity for you to have another chance to win! Now, on to today's wonderful Prizes! There will be TWO winners today! Yep, TWO winners! 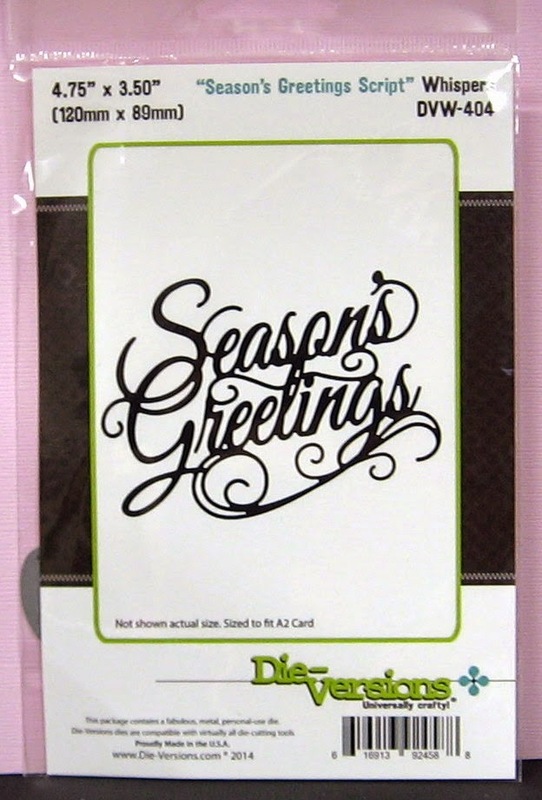 you will LOVE this gift card - and $10 will buy a lot of digi goodness! and a Guest DT member (a few times over! ), I can vouch for both the ease of downloading and using the images and the illustrator! Thank you so much, Laurie, for your generosity! Here is one of my favorite Doodle Pantry Images (and this one is pre-colored!). The pre-colored digi's make a card SO quickly, and what fun cards!!! 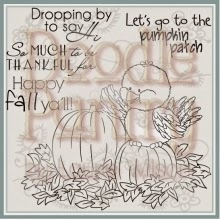 This image is Pumpkin Birdie -it comes in both black and white, and pre-colored! And you can find this set HERE! NEXT up....we have a gift card from a new-to-me stamp company! and am loving the products that I've purchased! 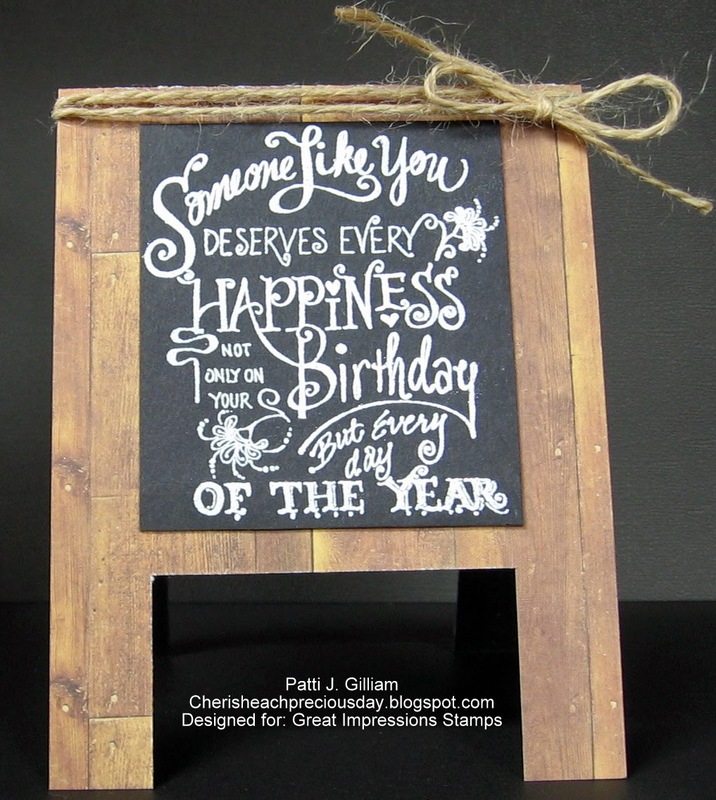 Jody Stacy is the owner of Treasured Times Stamps. She's loved art since she was very little. Jody has actually been painting for 26 years! 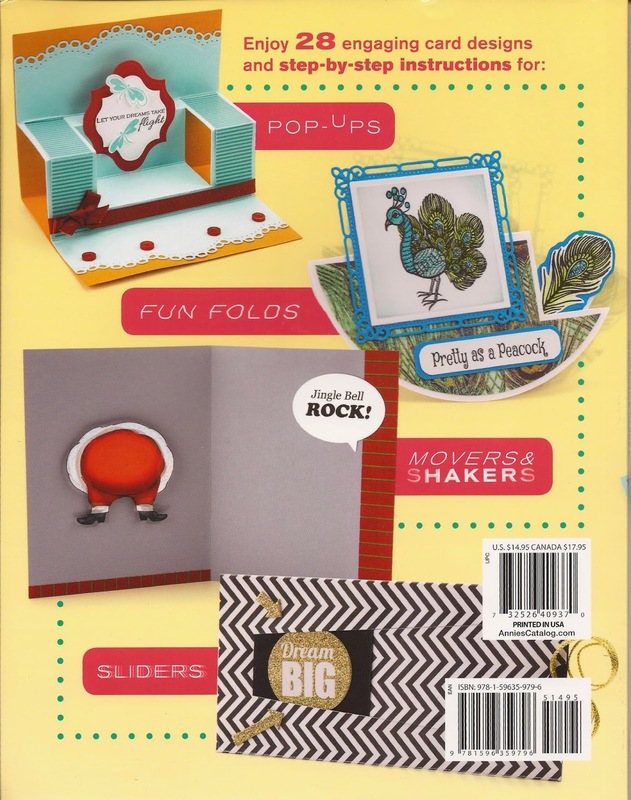 In 2011, she started up Treasured Times Stamps, and not only does she work with some pretty great illustrators, but she's started her own Stamp Line, called the Lilly Mae Collection. This collection features little girls in Prairie Dresses, Pantaloons, and Sunbonnets. How cute they are! You can see them HERE. to using more of her products - I have my 'Dear Santa, I want it all' list ready to go! Thank you Jody, for your generosity! Here is the card/box opened up. I'm not sure yet who is getting this, or for what occasion, so I've left the sentiment off for now. Isn't this image darling??? So sweet! Isn't this just too much fun? Day 6 will be on Saturday, October 11th. All winners will be announced on Monday, October 13th - good luck to all!!! 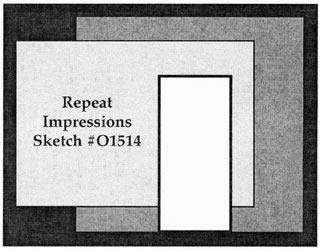 It's time for another great Designer Choice Challenge (DCC) for Repeat Impressions Stamps! and has chosen 'Winter' as her DCC theme. this was a fun challenge. I decided to keep it clean and simple. 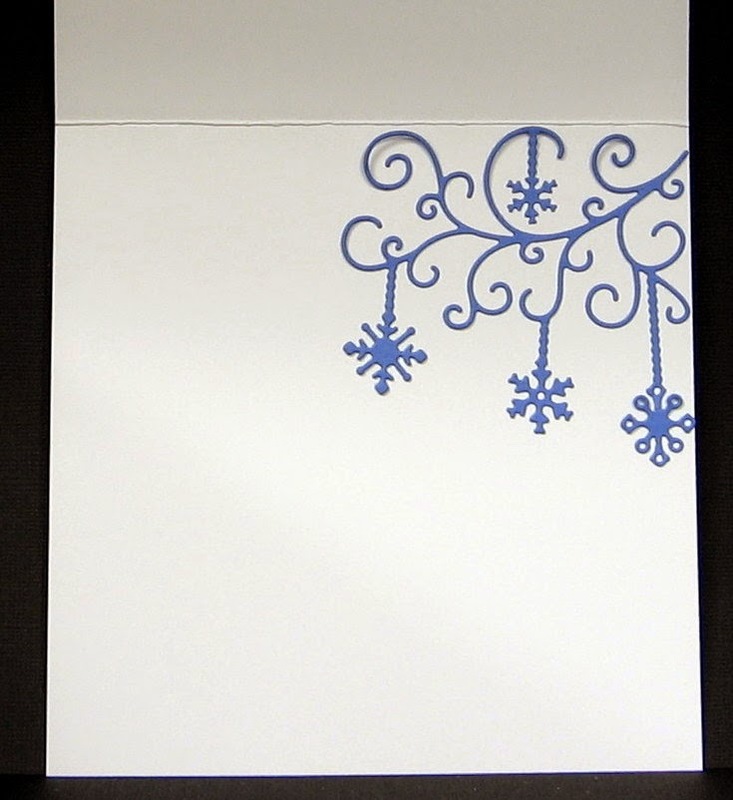 I used 2006-H Let it Snow, and 8805-K Snowflakes for this card. I actually cut the flakes apart, making 5 individual stamps - love it! A bit of the card was masked off on the left, and a lot on the right. The first batch of flakes were stamped with Versamark, and heat embossed with white embossing powder. Next, I sponged on some distress inks until I had a color I was happy with. 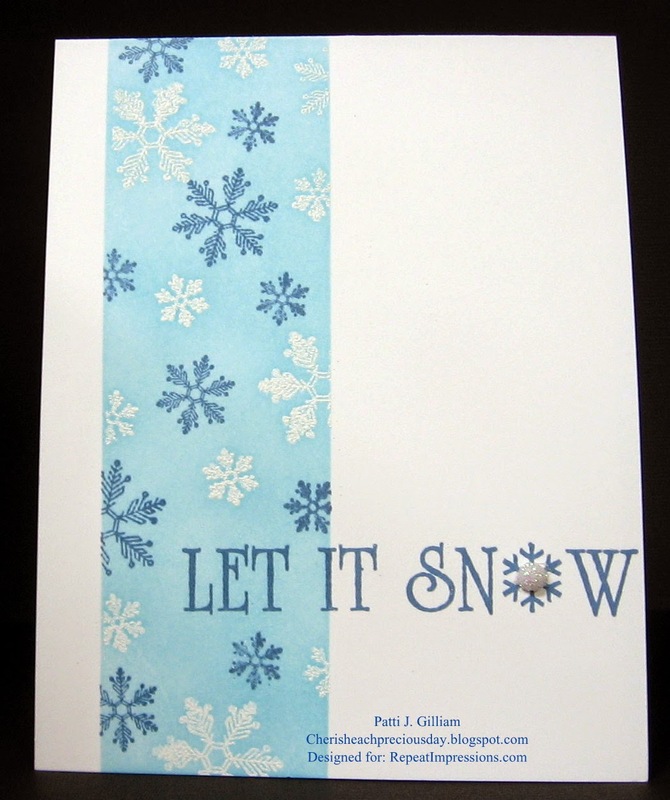 Then I came back in with some navy pigment ink, stamped the sentiment, and filled in the open spaces with more snowflakes. The final step was adding a wee half-snowball to the sentiment. Very quick card! We hope you will join us by creating a winter project, and entering it in Robin's DCC Challenge, at The House that Stamps Built! Now it's time to check out the inspiration that my talented Rock Star teammates have created for you! Blogaversary Celebration - Day Three! 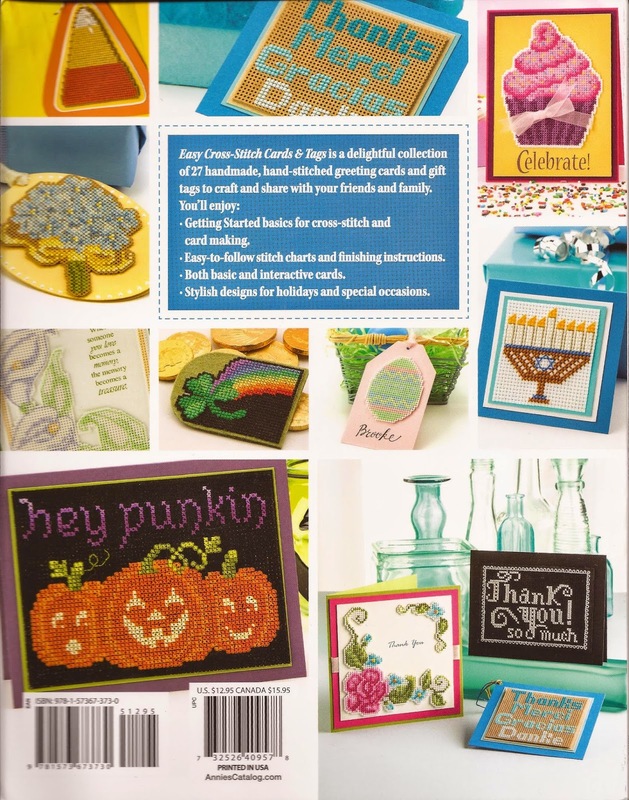 Today, I am so excited to be sponsored by CardMaker Magazine! so today, there will be THREE winners! 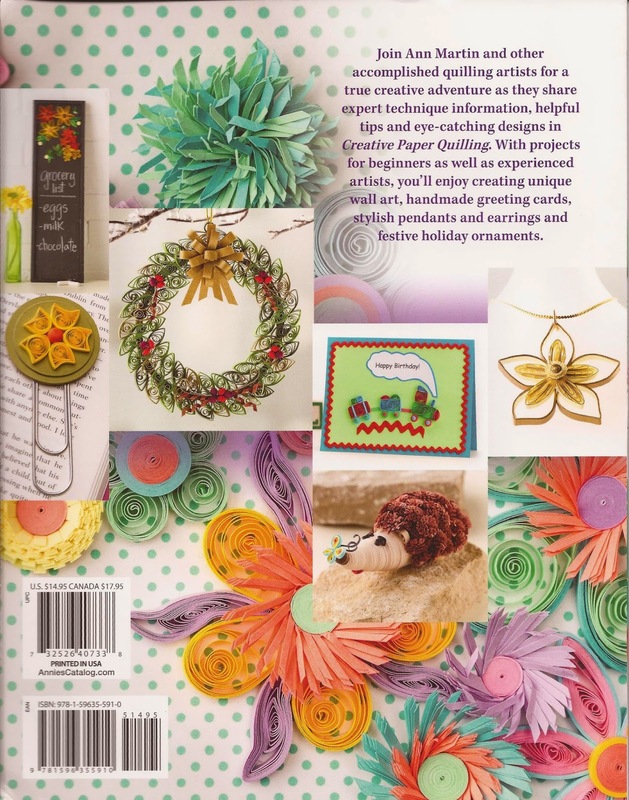 Before I show you the prizes, let me first encourage you to submit your beautiful work for publication to CardMaker Magazine! It takes time, but it's so rewarding to see a project of your own in a real life glossy publication! And, don't give up, if you try, and are not accepted - I've had far more submissions turned down, than I have accepted. Hang in there and keep trying. Keep in mind that just because you're turned down, it doesn't mean that your work is not good enough. Often, they are trying to complete a page with certain color schemes, or textures, and are looking for just the right project. 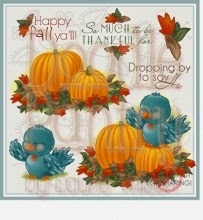 This card was created with Our Daily Bread Designs stamps. 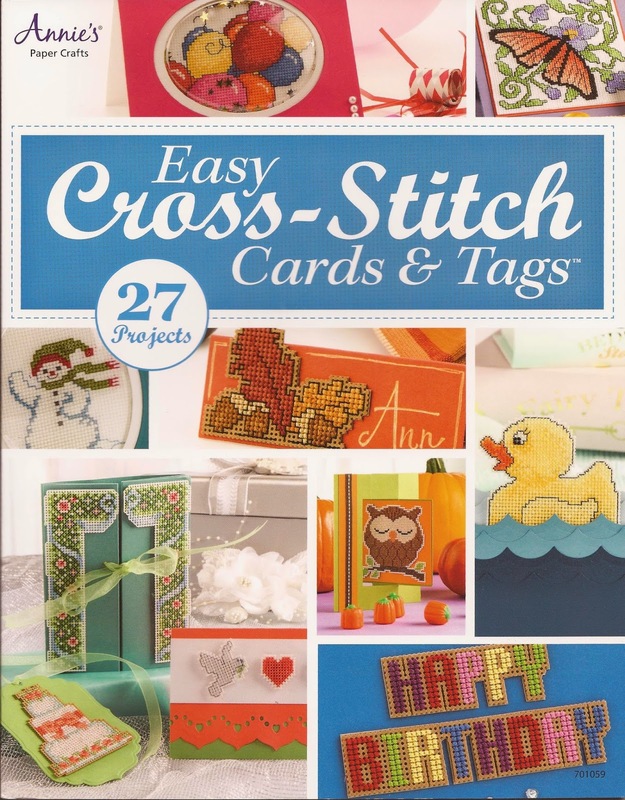 It actually shared a corner of the cover with several other cards - so, I am 'almost' a Cover Girl! When that happens for reals, you will hear me celebrating, and I will probably be asked to leave the post office, as I'll be happy dancing, and that will not be a pretty sight! So....did I peek? OMG - YES I did! What a wonderful resource, if you like cards that move, pop, and create smiles! Squeeee! I had to look at this one too! I used to Cross-Stitch some pretty amazing pieces. I haven't done so in a while, but this fun project book got my wheels turning, and who knows? I may pick up that Aida cloth again soon! Look at the beautiful Autumn pattern - too gorgeous, right? Although, I am not a quiller, this book has some stunning patterns for those of you who might be! 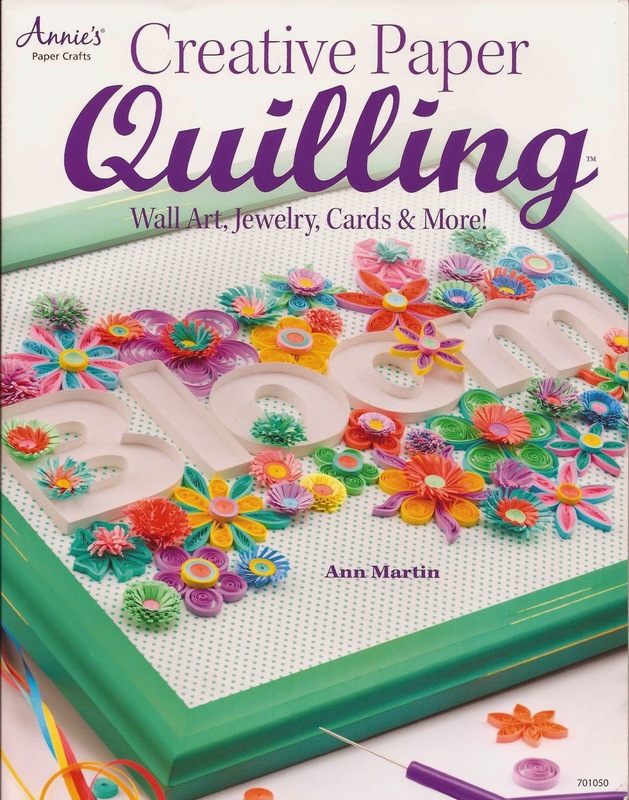 I've actually tried quilling, and I have the utmost respect for those of you who do it - what a beautiful art! So.....how can you win one of these beautiful magazines? Well....you have three chances again! 1. Leave a comment here giving me a bit of 'bl'irthday love = 1 chance to win! 2. 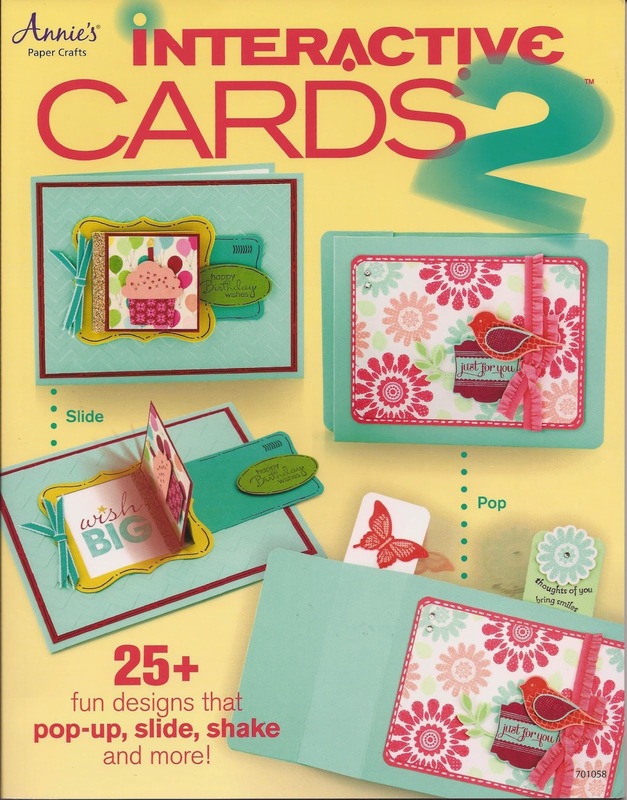 Become a follower of the CardMaker blog, and leave a comment telling them that I sent you = 1 chance to win! 3. 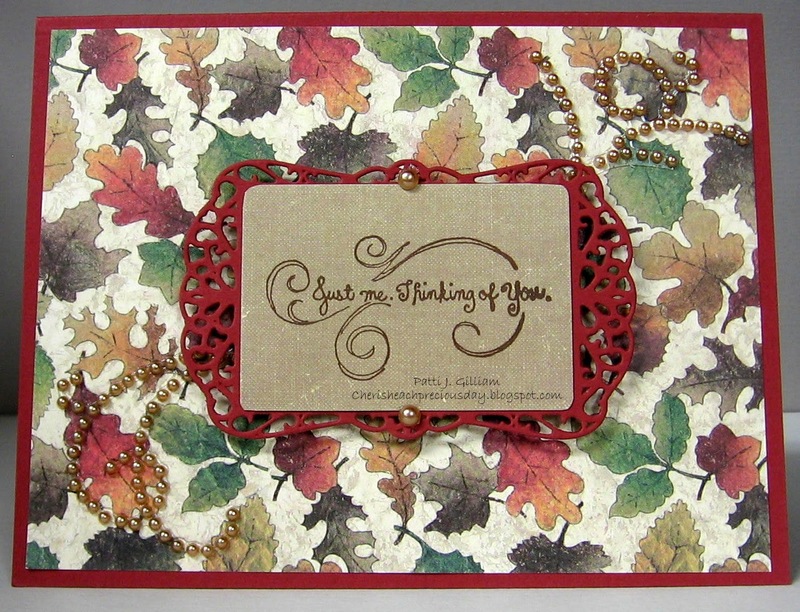 Go to the CardMaker Facebook Page, hit the 'LIKE' button, and leave a bit of love, telling them that I sent you = 1 chance to win! That's it - easy peasy, right? Thanks for stopping by today - BLirthdays are so much fun! We're only halfway through our celebration, so be sure to tell all your friends to stop by! See you Thursday for Day Four! Blogaversary Celebration - Day Two! Happy Sunday, and welcome back to another day of celebrating my six years in Blogland (among other happy things!) It's not too late to comment on Day One for a chance to win! So, for Day Two, we have a very generous sponsor! will receive a gift code to spend $20 at Repeat Impressions! 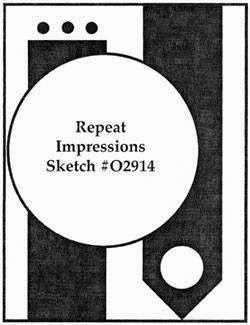 Repeat Impressions 2322-G, Black Cat can be found HERE! Thanks so much for dropping by today to celebrate with me! and fuzzy' into my day! So....how can you win a $20 gift card to Repeat Impressions? You have THREE chances to win today! Blogaversary Celebration - Day One! It’s time for Cherish Each Precious Day’s Blogaversary celebration! My beautiful blog badges are created from digitally modified Doodle Pantry files! Be sure to check out their new release....this gorgeous pumpkin is in one of the new releases! 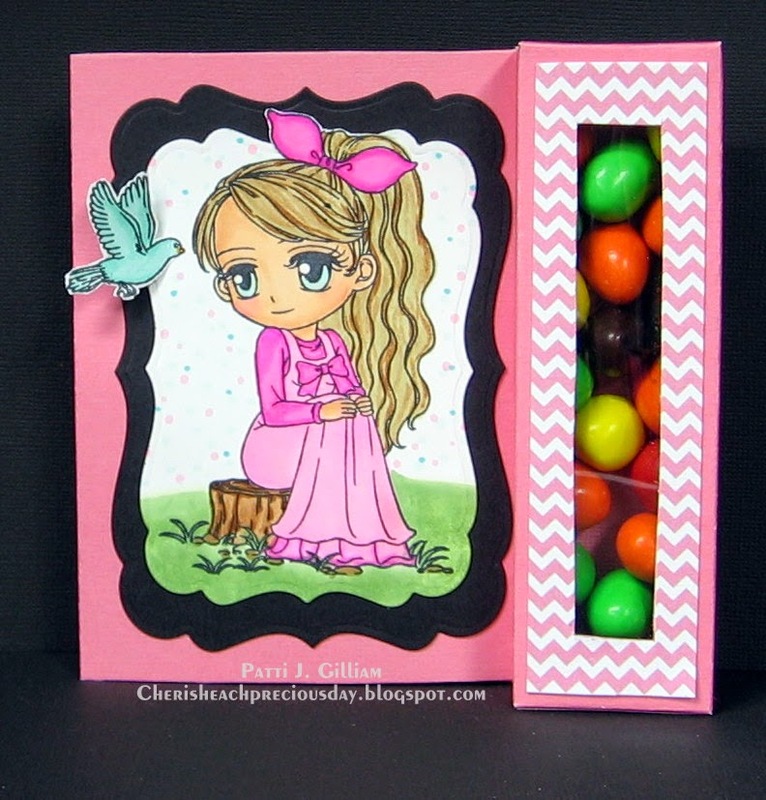 ~I posted my first papercrafting item SIX years ago! ~It’s crazy to imagine, but the blog will also reach 1100 posts next week! ~I turned the big 6-0 in April, and everything still works! I have met many wonderful people through this incredible love of all things paper. When we travel, I always try to meet one of my crafty long-distance friends. What fun it is to meet and create, or shop with someone that has previously been only an on-line face. 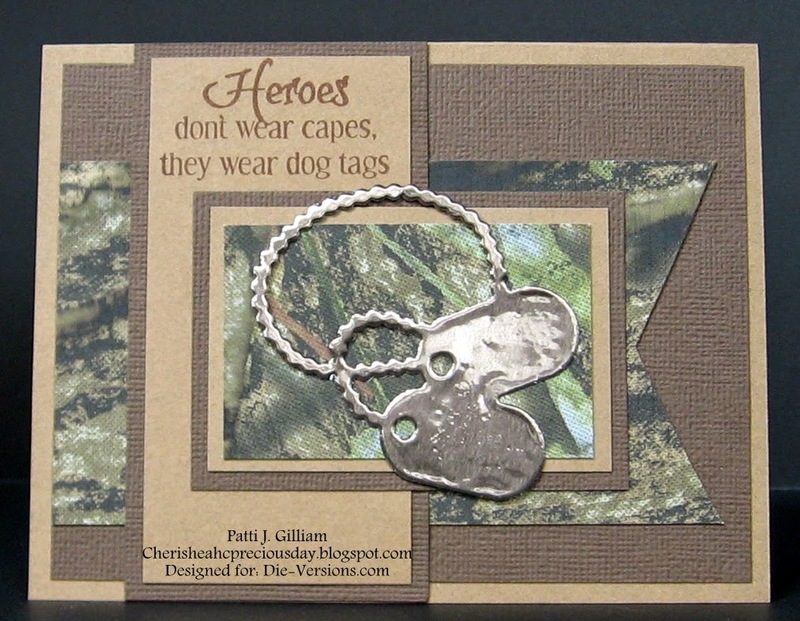 It is incredible to me that each of you I come to know, are so genuine, generous, and full of love for fellow crafters. I’ve seen card drives for illnesses or deaths, requests for prayers, financial requests, and I’ve been on the receiving end of many kindnesses, from prayers to birthday cards and RAK gifts coming in the mail. And…I’m still in awe of the number of you that befriended our daughter during her husbands’ deployment. They still covet the many cards, gifts, and kindnesses that you showed, and I'll never forget you! My friend Shirley is like a sister to me, and she's where 'it' all began for me! Shirley was a demo for TAC, and had a local card class. I attended, and was hooked. TAC closed its’ doors, but Shirley is now a demo for A Muse Studio, and the rest is history! Thank you Shirley, for all I learned from you, but most important, for your friendship. Some of you have been here since the very beginning. Others have only been here a day or two. I’m so humbled and amazed that I am so lucky. You are all wonderful, so this celebration is for you! There will be SIX days in October, where we will celebrate with a giveaway. What fun! I love giveaways, especially when I’m the giver!!! Just keep checking back – when we have a celebration day, leave a comment! Each day, there will be a chance to enter twice, as well...read on! At the end, there will be one post, listing all winners. Creations by AR is sponsoring today’s giveaway! Thank you to Creations by AR! Creations by AR is generously giving a $20.00 gift card to one winner – it could be you, and just in time for the holidays! How can you win? 1. leave a comment here on today’s blog post = 1 chance to win. 2. 'LIKE' the Creations by AR FB page, and leave a comment there, thanking Adela for offering up such a nice gift = 2 chances to win! Happy Celebrations – eat cake for me!!! Shine on little die...shine on! I'm here today with my post for Die-Versions Dies. I may possibly have a new favorite DV die! 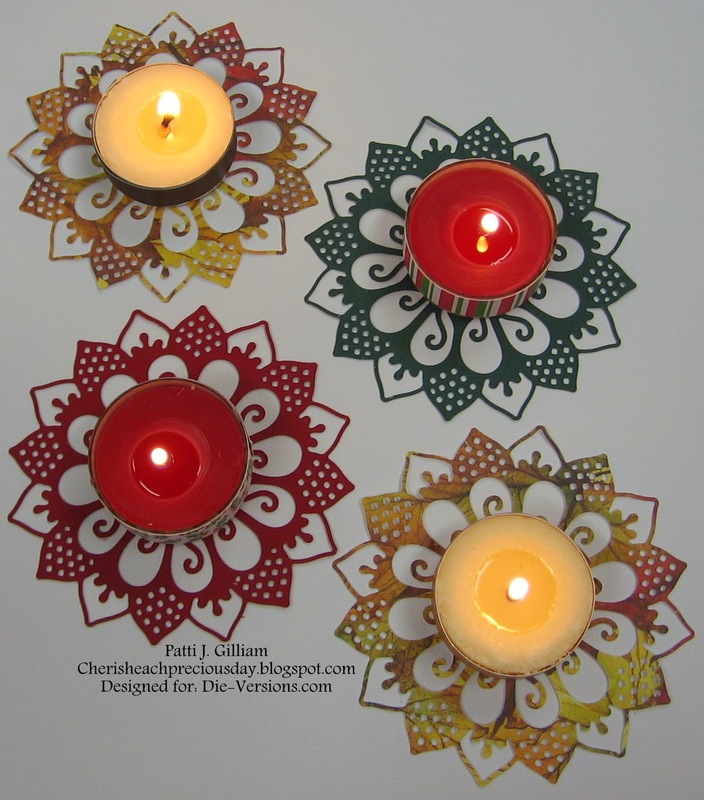 If you recall, I made some little table favors for Thanksging/Fall, using the Die-Version Whispers "Chrysanthemum" DVW-4 x 4-121 Die. As I looked at my blog post a few days later, a light went on - pun intended! Why not replace the candY with a candLE? Whoop whoop! Candles lit - lights on - view from the top! There are two for fall/Thanksgiving, and two for Christmas/winter. 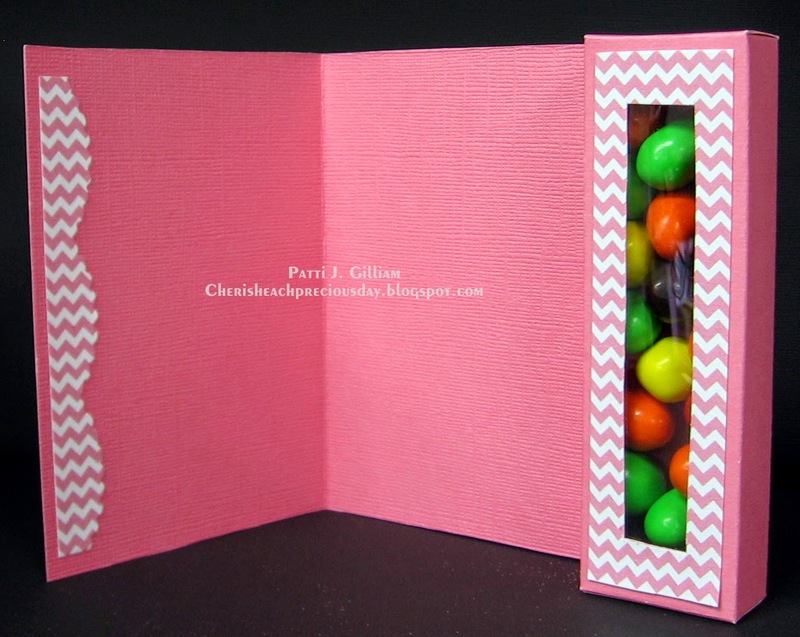 Now, I'm thinking Birthdays, Baby Showers, Wedding Showers....oh my, the possibilities are endless! Little die, let your light shine!!! 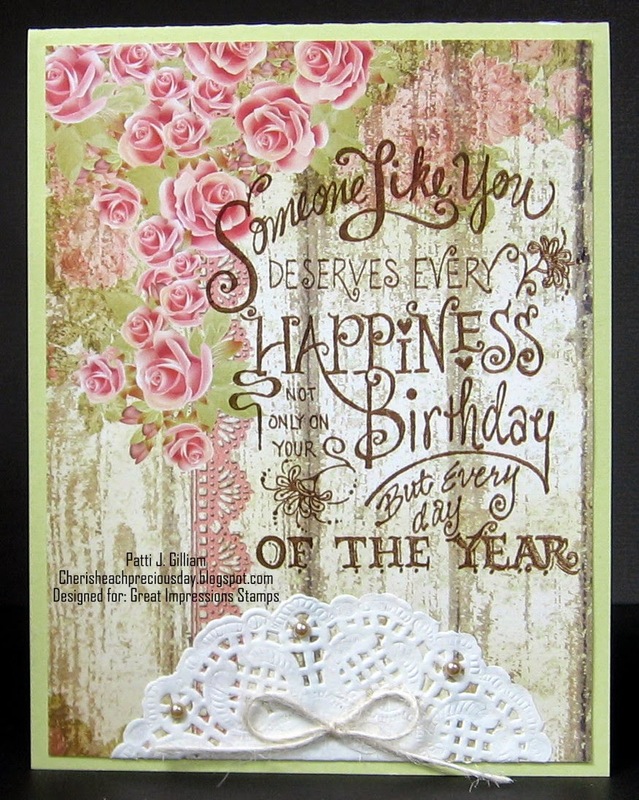 Hope you get your own Chrysanthemum Die - would love to see your creations! Be sure to stop in and check out the daily inspiration on the Die-Versions Blog!